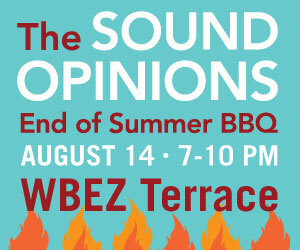 on the WBEZ Terrace at Navy Pier on August 14th. enjoy delicious food and drink on the beautiful terrace overlooking Lake Michigan. Then, stay for a front row seat for the Navy Pier Fireworks starting at 9:30 p.m.
Virtue Cider, Goose Island Beer & Tenuta Santomè will be providing adult beverages. Navy Pier offers $10 parking on Wednesday nights, but availability is limited.